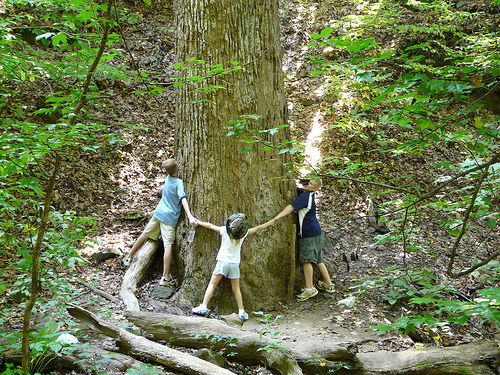 Check out what TreeHugger.com has to say on the subject here. Firstly, I would like to preface this blog by saying I would recommend people intent on their promotion of environmental awareness to stick to lawful means of expressing that activism. That said, I also believe there should be more of a discussion on the understanding, legally and culturally, of “eco-terrorism”. What is it? Why is it used? What purpose does it have? What results does it achieve? A large part of activism is the spreading of awareness of issues. People are often desensitized to issues of environmental crisis in the face of sensationalized media overkill. I think that activists utilize their right to freedom of speech to express intense concern for issues and to spread awareness. The more common strategies do this without putting human lives at risk or result in the destruction of property. The umbrella labeling of all environmental activists as “terrorists” is absurd and rather slanderous, to be frank. Of course there are pockets of extreme, or radical activists mixed in with the more mainstream environmentalists. They rely on stronger forms of activism because they are often advocating not only the political response to a specific environmental issue but also a more general change in societal values, a paradigm shift. And that’s not something that comes easily or passively. Think about what moments, what events, what happened to make you change your way of life at some point. Radical environmentalists use a “shock and awe” strategy to influence companies, politicians, and individuals as well. In fairness, maybe that’s the only way to get anyone’s attention sometimes. On a personal level, I’ve often had difficulty seeing eye-to-eye with the more radical forms of environmental activism, even from a symbolic perspective. I think they tend to alienate a large portion of the population. This defeats the purpose, frankly, as it is public opinion that inevitably sways politicians and therefore policy. Alienating the public is a bad way to garner the support of people the movement as a whole relies so heavily on. That being said, I do feel that the fast and loose use of “eco-terrorism” as a legal definition is ineffective, vague and frankly scary. Law-makers should make sure to be very careful about how they define it, and apply it in the courts, as it could easily be used to describe a number of relatively benign elements within the green movement. I want to restate that in response to this article, I do not advocate, encourage or justify illegal actions of any kind. But think where we would be today without any form of so called “radical” activism. Where would the civil rights movement be? The suffragettes? For that matter, the United States would still be a British colony. To so loosely brand all environmentalists as “eco-terrorists” is lazy and a sad misrepresentation of the bright, vivacious diversity of the environmental movement as a whole.